A classic white/dark blue checked poplin shirt. 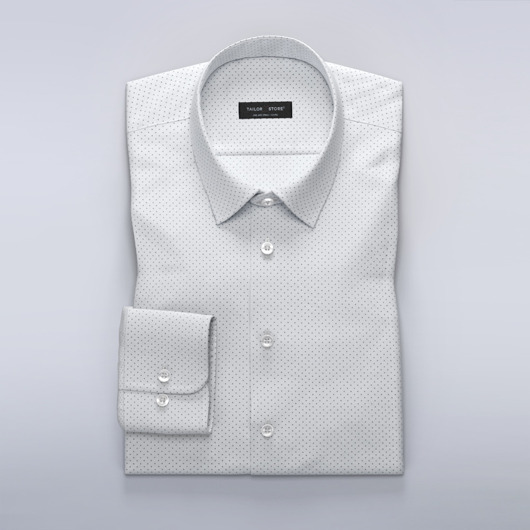 Poplin is a very comfortable and durable cotton fabric. Business classic collar and matching white buttons. Made to your measurements.